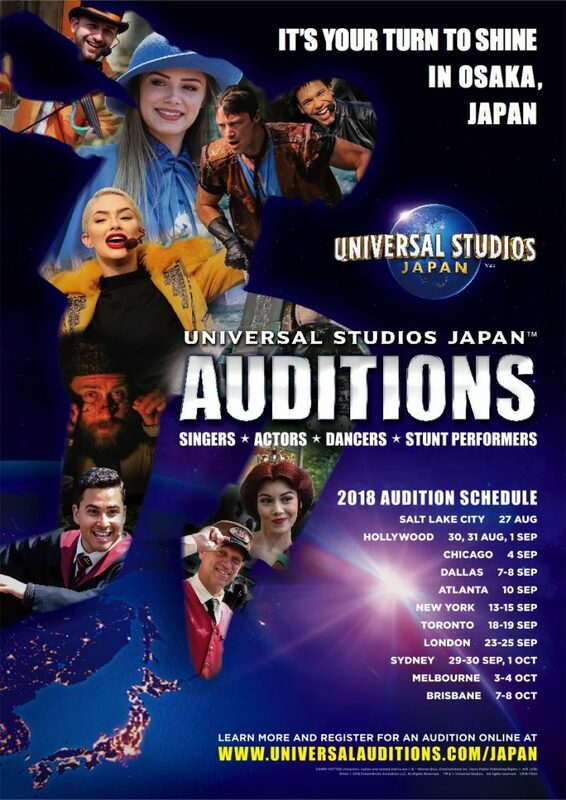 Preselection Frog Choir (Quartet) Auditions for Universal Studios Japan are HAPPENING NOW! You will be asked to submit a current headshot and resume. Availability for the rehearsal and audition period will be assessed. A private vocal audition will be scheduled. You must be available the entire week of August 18-26 for rehearsals and the day of August 27 for the USJ Final group/individual auditions. • IMPERATIVE! Must look young and be able to pass for high school students. Males must maintain a clean-shaven face, and ALL must have natural hair colors and styles.